Albany, NY is home to many great colleges and universities such as University at Albany (UAlbany), The College of Saint Rose, Sage College, Albany Law School, Maria College, Albany Medical College, SUNY Polytechnic Institute and the Albany College of Pharmacy on Health Sciences. We are proud to offer affordable, quality student housing for those attending Albany colleges and universities! Albany is a great place to work. Being the Capital of New York, the city houses many state buildings and employees such as the State University of New York and the New York State Assembly & Senate. 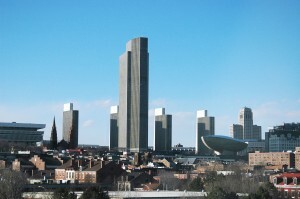 Albany is also a wonderful place to live with plenty of places to visit such as the Empire State Plaza, The Egg, New York State Museum, Times Union Center, and Palace Theater – just to name a few! Annual events such as the Tulip Festival and Alive at Five offer seasonal entertainment and enjoyment as well. Our family tenants are sure to have a plethora of activities to choose from!